HOME | ABOUT US | SERVICES & FAQ | TESTIMONIALS | CONTACT | SIGN UP! Welcome to Certified Credit Consultants (CCC). CCC is not your typical credit repair company! 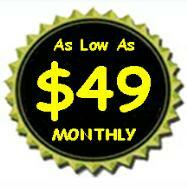 Unlike OTHER credit repair companies, you only pay us if we remove or improve your credit. We're certified experts in Credit Scoring and Credit Restoration. CCC has the tools and experts to get the job done. There is primarily 3 reasons to hire us to fix your credit. 1. Simple Fee - Pay only When We Remove or Improve. CCC is the only area company charging after the job is completed. Really... no money in advance, nothing, zero. Our's is a pay per deletion plan. There is a setup fee but no fixed monthly payments. We want you to pay only for good results.After you hire us, we get to work as soon as you sign a consulting contract. Your first payment is due three days after statement for the monthly derogatory items are removed or improved on your credit reports. It's that simple. Only $40.00 per item Improved or Removed. No Improvements or Removals, NO PAYMENTS! 2. We offer Personalized Credit Repair. Only a few companies in this industry do this. This means we assign a credit consultant consultant to your case. This person will always be available if you have any question or special instructions. You will always deal with the same person with no need to explain everything each time you call. 3. We are very effective credit repair company. If there is a legal way of removing a derogatory item we will find it. Our people have extensive credit repair experience. We know the credit laws and how to use them on your behalf. We obtain results. This is why we are able to offer such favorable payment terms. Remember, We only get paid if we get the job done! Pay Only When We Get RESULTS! All of our account executives are Certified as a Credit Repair Expert. They have completed extensive study, attended seminars and classes, and completed their certification exam. We set the standard on requiring our staff to have the knowledge to obtain the maximum results for you. Rapid Rescore is available when you only have a few days to qualify for that loan. Call for Full Details. CCC focuses on educating you first -- Credit Restoration comes along with the education process! We understand that "life happens", if you're prepared and understand what to do -- your financial recovery will happen much FASTER and EASIER! Empowering yourself with the proper knowledge can ensure you are a client with us only one time -- saving you precious time and money! Associated with Credit CRM a creation of The Jamison Law Firm located in Los Angeles, California. Attorney Edward Jamison is a nationally recognized authority on credit issues and repair. This association gives us direct communication with attorneys and staff to insure your rights are protected and enforced. Scott is a graduate of the CRMCredit Creit Repair Training. CRMCredit is a national leader in Credit Repair and Restoration. Scott is committed to throughly working on your credit file to get the most positive improvement in your credit scores. Scott is proud to be designated as a "Certified Credit Counselor". Call Scott today to obtain a FREE Credit Consultation. 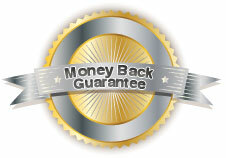 With our 100% Guarantee, you have nothing to loose and so much to gain. Our clients obtain an average FICO Score increase of 76 points. However, individual results may vary. If, after review of your credit reports we believe that we will not be able to improve your Credit Scores, we will not take your case. However you will pay only for good results, no results no charge! We will refund 100 percent of your account set up fee if we do not remove or improve at least 25 percent of the negatives we work on from all three major credit bureaus within 6 months from when you sign up. compeditors who charge monthly fees or large up-front fees. We take the risks so you don't have to. With an average success rate of 70%, our money back guarantee, and the best credit education in the business Certified Credit Consultants is one of the wisest investments in your future you can make. Welcome to our Newest Certified Credit Consultant Sharon Froehlich Sharon understands the challenges of being a working Mom and the need for families to have good credit scores to obtain the credit they need in today's economy. Call Sharon TODAY and put her to work on improving your credit scores. You will be glad you did!